Wild Earth is a camping and hiking department store providing a range of products including bags and backpacks, tents, swags, sleeping bags, along with climbing and travel gear. You can even find accessories for your GoPro. Wild Earth Shop Tactical Gear and Packs at Wild Earth. Free Shipping Orders $99+. 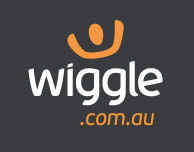 Wild Earth Free Shipping across Australia on Wild Earth orders over $99. Shop now! Based on the Gold Coast in QLD Australia, Wildearth are one of the leading Aussie retailers for camping and outdoor products. Our pricing review showed that they were very competitive for the products searched. They provide an easy-to-use website that adjusts depending on browser / device used, so ordering from your mobile is a breeze. They also provide easy and stress free returns for up to 30 days following your purchase. Do you love Wild Earth?